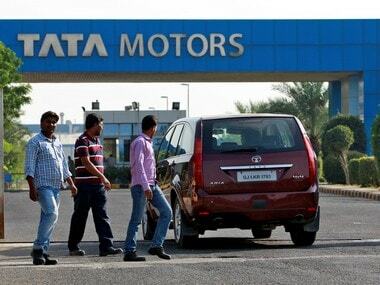 New Delhi: Shares of Tata Motors on Tuesday jumped nearly 8 percent amid massive buying, adding Rs 4,014 crore to its market valuation, in-line with an overall bullish market sentiment. The scrip rose 7.72 percent to close at Rs 194 on the BSE. During the day, it jumped 9.93 percent to Rs 198. At the NSE, shares gained sharply by 7.26 percent to close at Rs 193.40. The BSE benchmark Sensex on Tuesday surged by nearly 379 points to close at 36,442.54.